Our chemical resistant plastic blowers have been designed to overcome high system static pressure and are available as direct drive in standard rotation and discharge combinations. 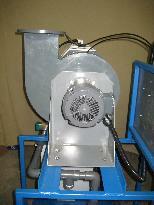 The blower housings are supplied with motor and stand. 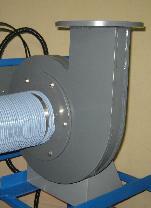 Fans range 25 to 500 SCFM and static pressures up to 15 inches of water. Fan curves are available upon request.